Are you ready to take your first step towards a new career? Professionally trained cosmetologists are in demand at salons, spas, and other businesses in the beauty and wellness industry. To help students fill these much-needed positions, Genesis offers a state-of-the-art cosmetology school in Nashville, Lebanon, and Cookeville, TN; Dalton, GA; and Mobile, AL. In addition, Genesis’ cosmetology curriculum includes 50 weeks of hands-on classroom instruction; students use the latest hair and color products from Matrix, affording them an opportunity to gain in-depth familiarity with the entire popular product line. In addition, with our continuous career development and business training classes, our graduates have the flexibility to join an existing salon, start their own business, or pursue career opportunities in product sales or cosmetology instruction. Whether you reside in Nashville; Dalton, GA; or near one of our other campuses, cosmetology school offers a number of career-ready opportunities. To speak with a Genesis advisor about financial aid, coursework, or the campus nearest you, click the button below. 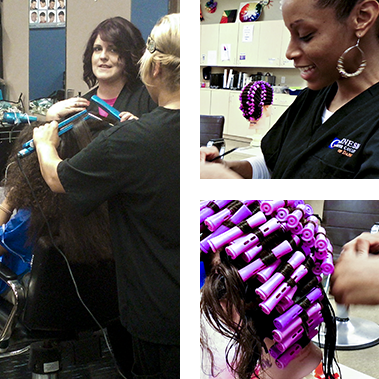 Is a Career in Cosmetology Right for You? Take the Genesis College "Cosmetology Career Training Readiness Quiz"
As you look into your new career as a Cosmetologist, be sure to research some of the real-life details of your new trade such as job outlook, self-employment opportunities, earning potential in your chosen career track and details of your new work environment. And don’t forget to read up on how to get your cosmetology license — our guide offers you more information on beginning your career once you graduate. We recommend to you the resources of the Bureau of Labor Statistics and the Department of Labor’s O-Net, where all this information can be found and more. At Genesis Career College, we offer financial aid to those that qualify. These programs can help you afford college through any combination of grants and student loans. We are a participant in the Title IV Federal Student Financial Aid program. The Financial Planner at each individual campus will assist you in completing your free application for Federal Student Aid. At esthetician school, you’ll study all types of skin care treatments, including facials and microdermabrasion. 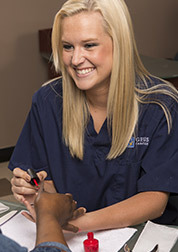 Our esthetics program is ideal for individuals who want to work in a dermatologist’s office or spa. Do you love French manicures, French tips and gel pedicures? Do you want to work at a spa, luxury hotel or specialized nail salon? See if our nail technician program is right for you. In our Massage Therapy program, you’ll study the anatomy of the human body as well as how to relieve tense, sore, or damaged muscles and ligaments with your own two hands. Interested in helping men achieve the look of their dreams? 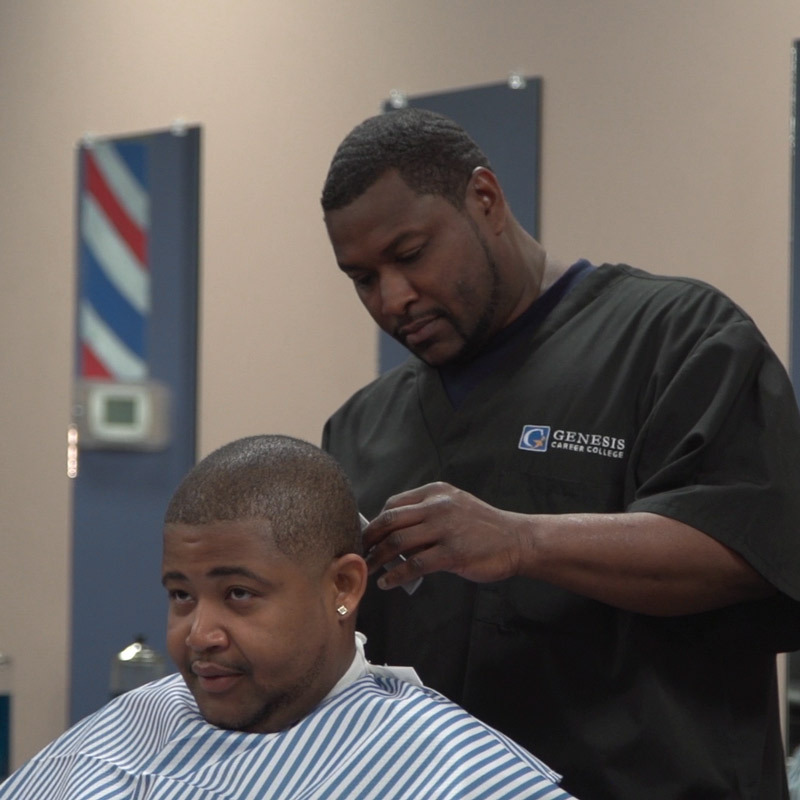 Master Barber work in barber shops and salons with the skills to properly groom and finesse men's hair, facial hair, and skin.